BENIN CITY, Mar 4 2019 (IPS) – Nigeria accounts for some of the largest number of irregular migrants trying to reach Europe from Africa. Since April 2017, the International Organisation for Migration (IOM) has assisted over 10,000 stranded migrants in Libya, Niger, Mali and other transit or destination countries to return to Nigeria. This is being done under the European Union (EU)-IOM Joint Initiative for Migrant Protection and Reintegration. Some of the returned migrants have successfully settled down to a new life of business under the EU-IOM initiative. 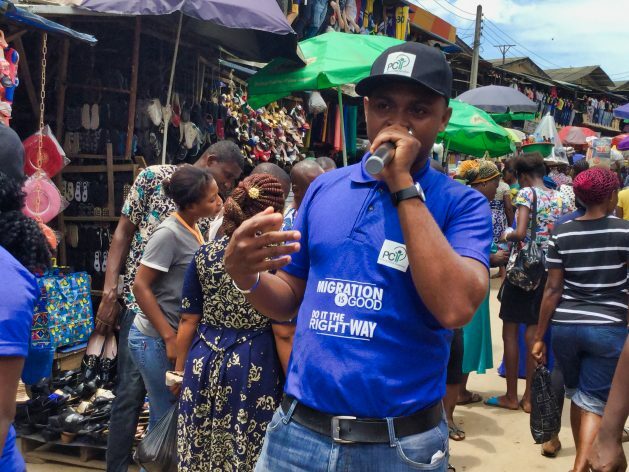 But beyond this, some of them are taking time off their business schedules to volunteer for an IOM-sponsored advocacy programme called Migrants as Messengers, which is aimed at sensitising potential migrants about the dangers of embarking on irregular migration.